I believe this to be looking down Real Street towards Puerta del Parian gate. 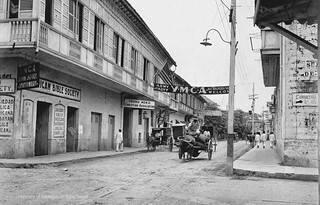 What can be seen of the street sign on the building to the right is “S J De” . But old maps show that San Duan de Letran Street did not go any father southeast from the intersection.